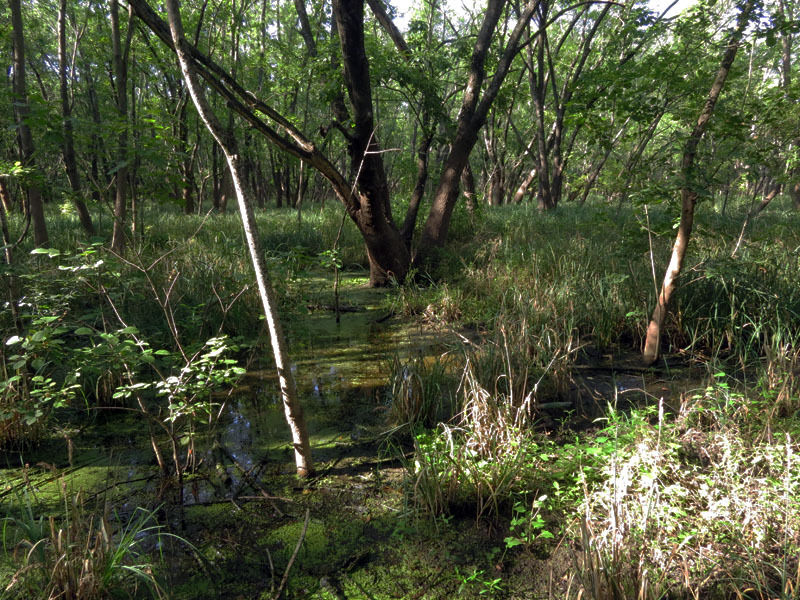 The Great Trinity Forest—many have heard of it, but how many of us really know what it is? 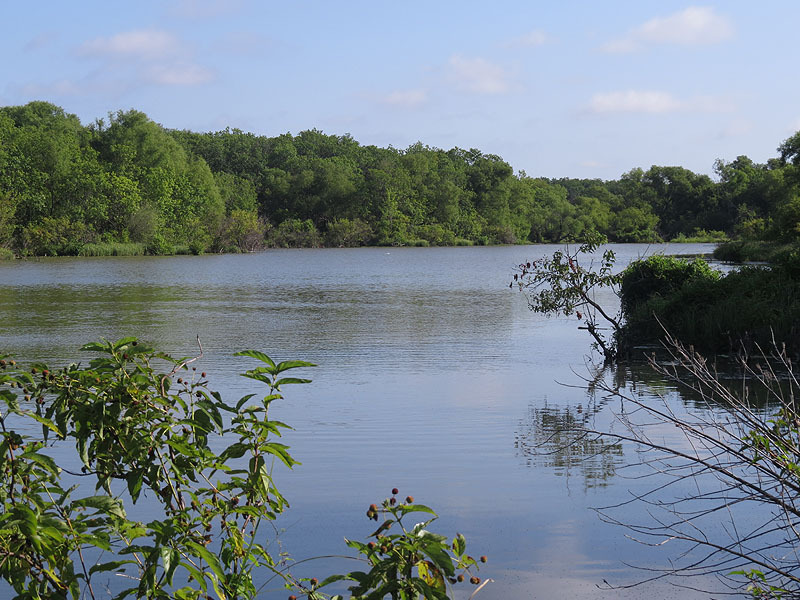 In the simplest terms, the Great Trinity Forest is roughly six thousand acres of mostly bottomland woods that follow the Trinity River and White Rock Creek as they flow through South Dallas. 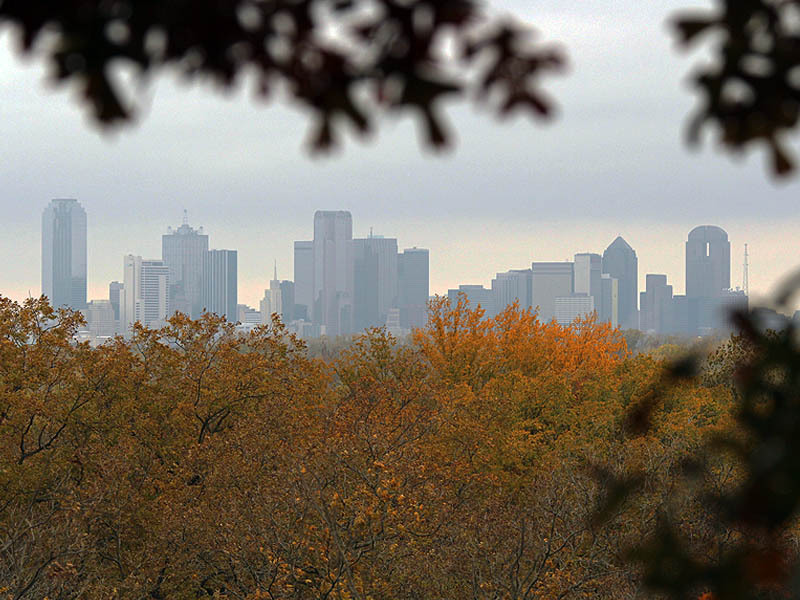 It is claimed to be the largest urban hardwood forest in the country, and the City of Dallas wants to develop it for your recreational use. Transforming this long forgotten and often abused parcel of land into a place suitable for real outdoor recreational activities—while at the same time preserving the park’s unique natural heritage—will be a massive undertaking. It will require the participation and cooperation of many different institutions and organizations, and will likely take years or decades of work to come to fruition. 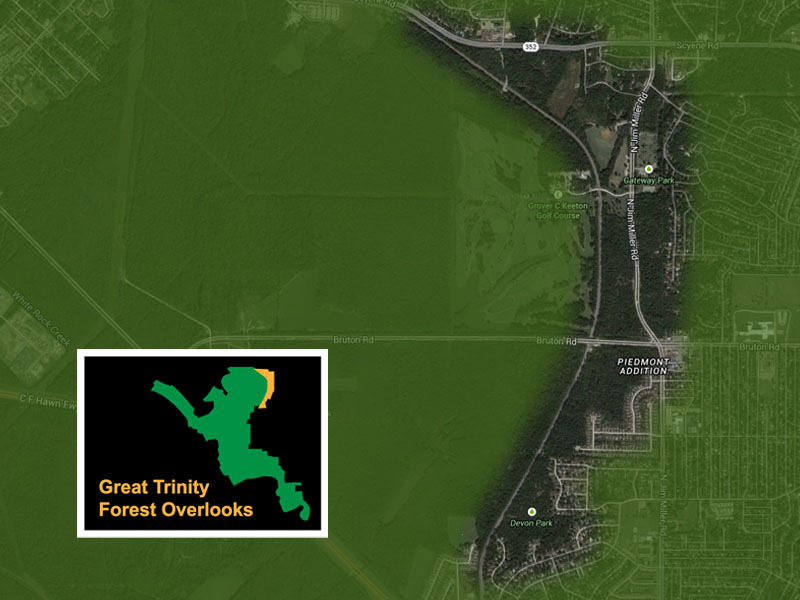 It is hard to pin down a comprehensive list of just which entities are involved in the development and marketing of the Great Trinity Forest. Here are some of the names I have heard to date: Trinity River Authority, US Army Corps of Engineers, Utility Companies, Dallas Parks and Recreation, Dallas County Open Spaces Program, Trinity Watershed Management Department, and, of course, the City of Dallas itself. Other organizations involved include Groundwork Dallas—one of many groundwork trusts across the country started by the Environmental Protection Agency (EPA) and the U.S. National Park Service, Dallas Off-Road Bicycle Association (DORBA), and the Audubon Society which manages the Trinity River Audubon Center. 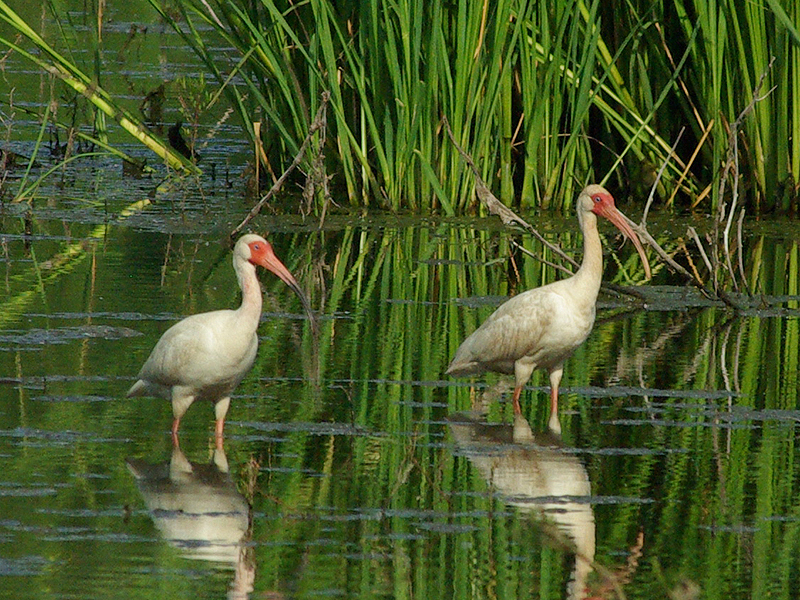 There is much more to the Great Trinity Forest than just the sum of all its composite acres. Written in these woods is the history of this area all the way back to prehistoric times. Important archeological sites are scattered about the map in a way that makes it abundantly clear just how vital this part of the Texas has been to people throughout the region’s history. There is a certain mystique about these woods that makes the Great Trinity Forest stand out from all the other natural areas in and around the metroplex. The essence of its compelling aura is hard to put a finger on, but it surely has something to do with the exotic nature of the park itself. 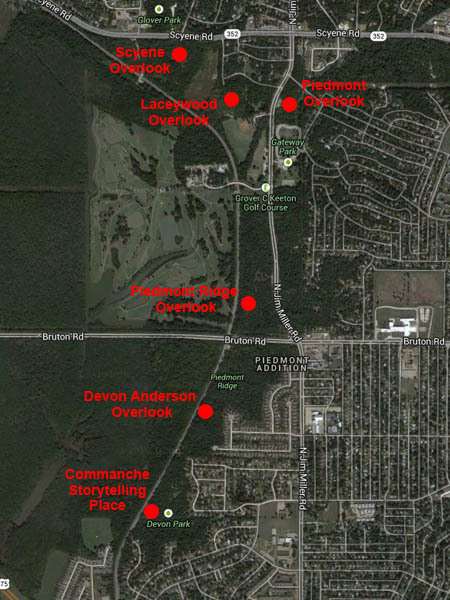 Archaeological sites in the Great Trinity Forest. 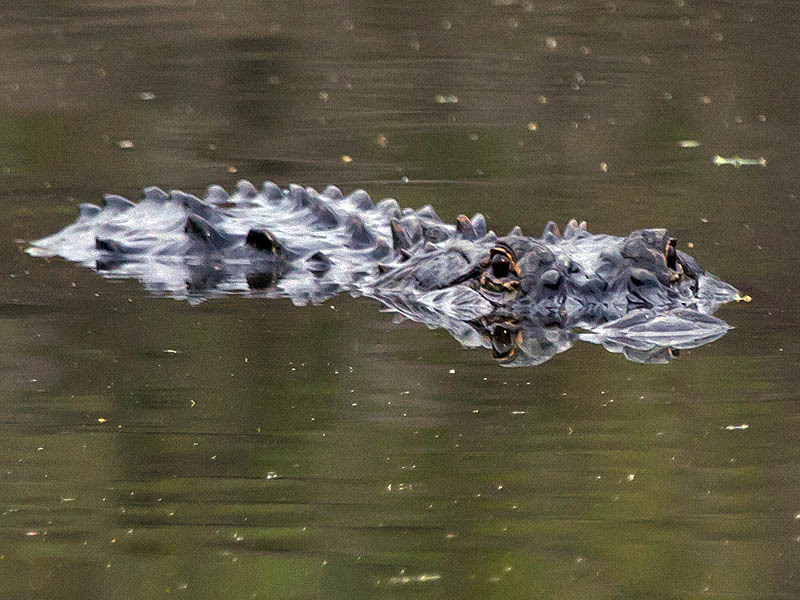 Unique by its very urban nature, the Great Trinity Forest is also home to some of the most fascinating species of wildlife that North Texas has to offer. 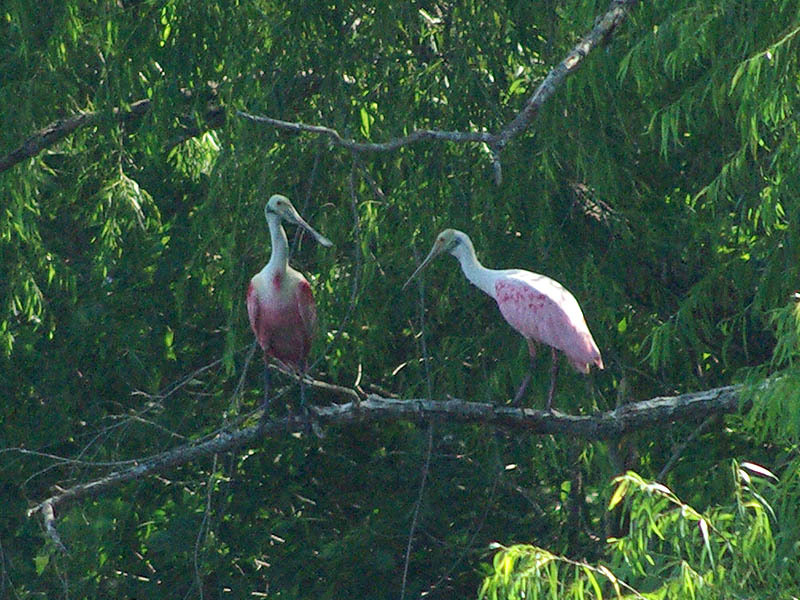 White-tailed Deer, River Otters, American Alligators, Feral Hogs, Crested Caracaras, Wood Storks, ibises, Roseate Spoonbills, Ospreys, Bald Eagles, and Swallow-tailed Kites can all be found here. Also extraordinary is the amazing topography of the region. Hidden lakes, impenetrable swamps, bubbling springs, a mighty river, meandering creeks, and vista views are all located within the park’s boundaries. Like a powerful magnet, these compelling features create an irresistible draw to those of us who are inclined to outdoor adventure. But, just like a magnet the Great Trinity Forest also has a repulsive side. In these woods there is the ever present feeling that something is just not quite right—a sense that there is trouble to be found here. Evidence abounds in these woods of a discouraging amount of past abuse and neglect that the area been forced to endure. Landfill and mining operations—some legal, and some not. Unbridled pollution, evidence of marijuana farms, poaching, and other illegal behaviors can still be be found in various places about the park. The Great Trinity Forest is a place with a lot of potential, but it’s not yet an enchanted forest. 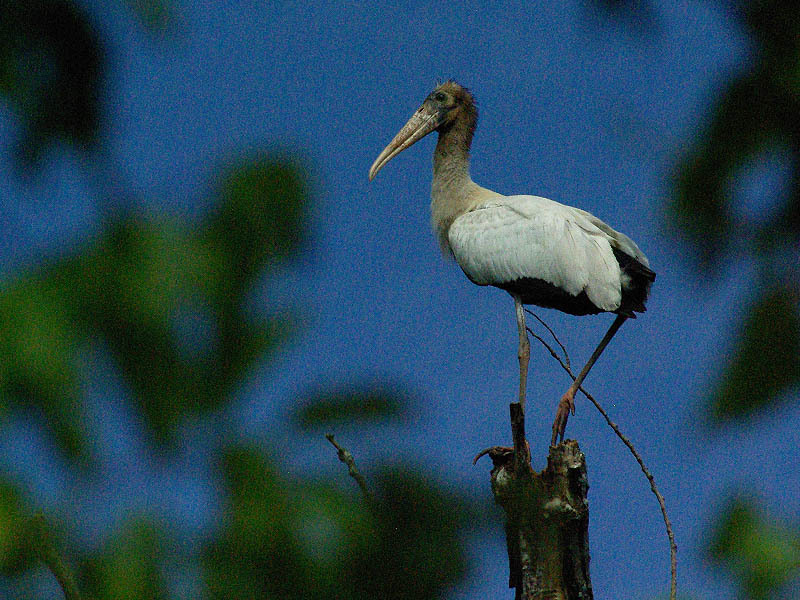 The Great Trinity Forest is comprised of many different areas—some are named and some are not. The most important of the named places are noted on the map below, and each is addressed in more detail later in this article. 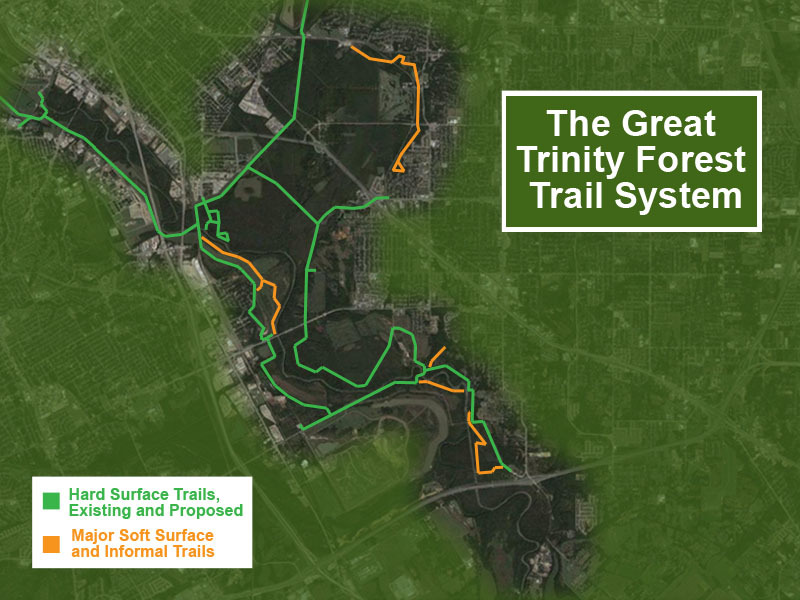 A trails system, similar to the one illustrated below is planned to tie the many disparate parts of the Great Trinity Forest together. A good number of these trails already exist or are currently being built. The connectors leading out of the forest and into the city in the north being the major exceptions. There is also a fairly extensive system of unofficial soft surface trails and passable utility right of ways cutting through the blank spaces on this map. As you can see, long stretches of the trail system have been built through heavily wooded and isolated areas. In the past the trails have not been well maintained, and even wide concrete paths have begun to be overgrown in places. Some of the soft surface trails have been neglected to the point where extensive repairs will be needed to bring them back to their original condition. Unauthorized vehicular traffic has damaged others. At the present time, none of these trails are regularly patrolled by law enforcement and they are seldom used by the public. All too often the trails are instead being used to facilitate dumping, poaching, and other illegal activities. 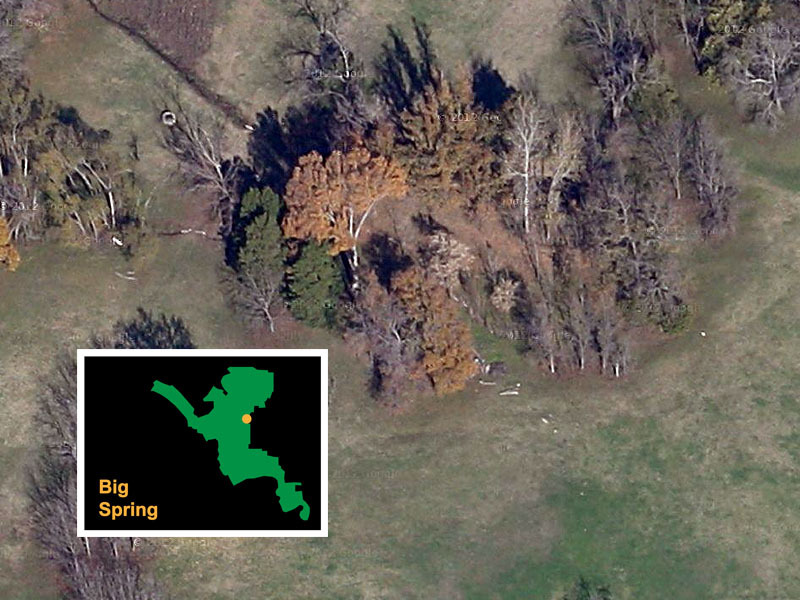 Conservationists and preservationists have been working hard for the better part of the last two years to protect historic Big Spring from clumsy horse park and golf course construction and over zealous trail building plans. This is a place steeped in Texas and Dallas History. 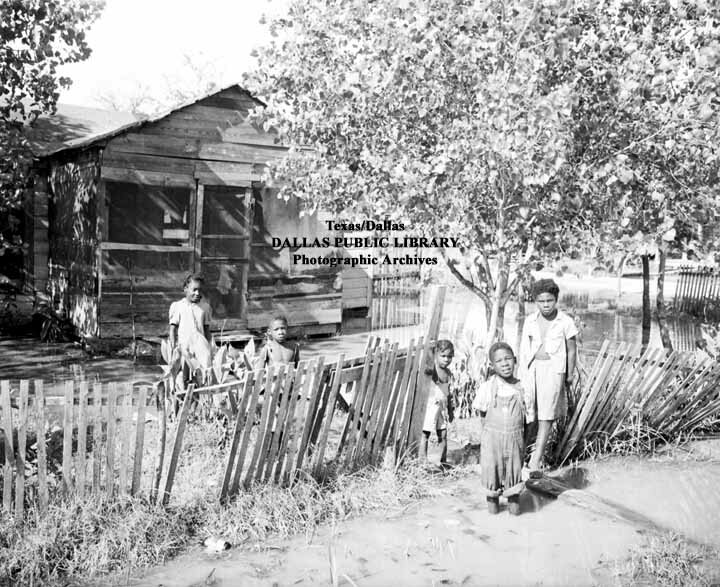 The founding families of Dallas called the lands around the spring home. Some of their descendants still do today. D Magazine – Big Fire Near Trinity Forest Continues To Burn. Other than this little blurb, the incident did not much register with local news. 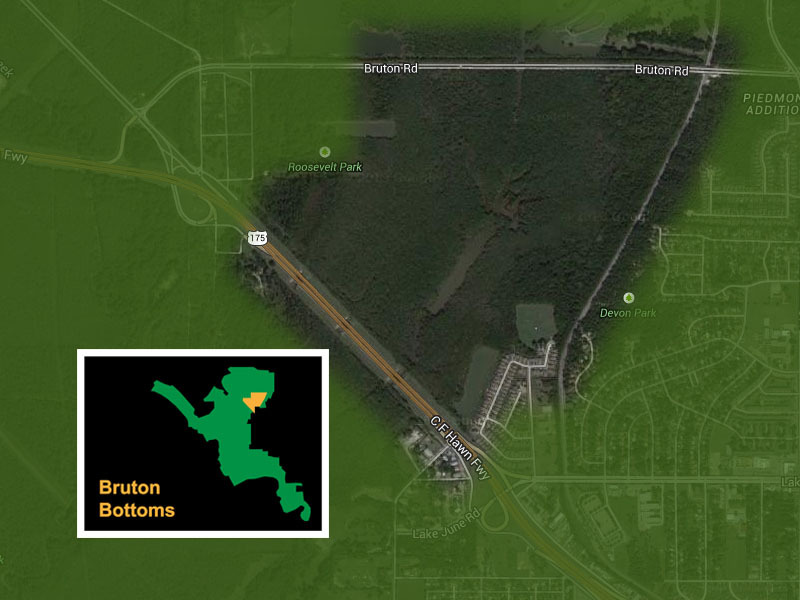 Green Source DFW – North Texas Wild: Who’s Watching Out for the Great Trinity Forest and the Future of Pemberton Hill? 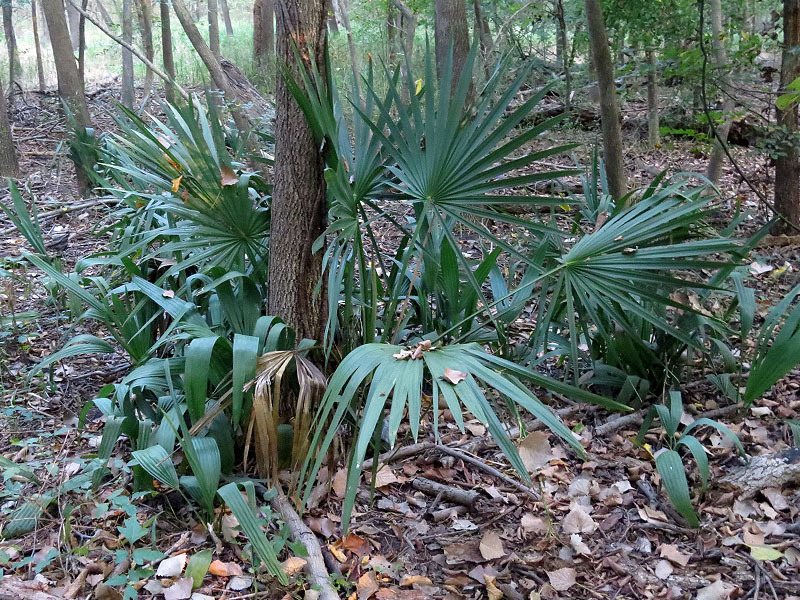 A Dwarf Palmetto growing in the shadows of the young forest. I’ve never really understood the why of the Dallas Standing Wave. 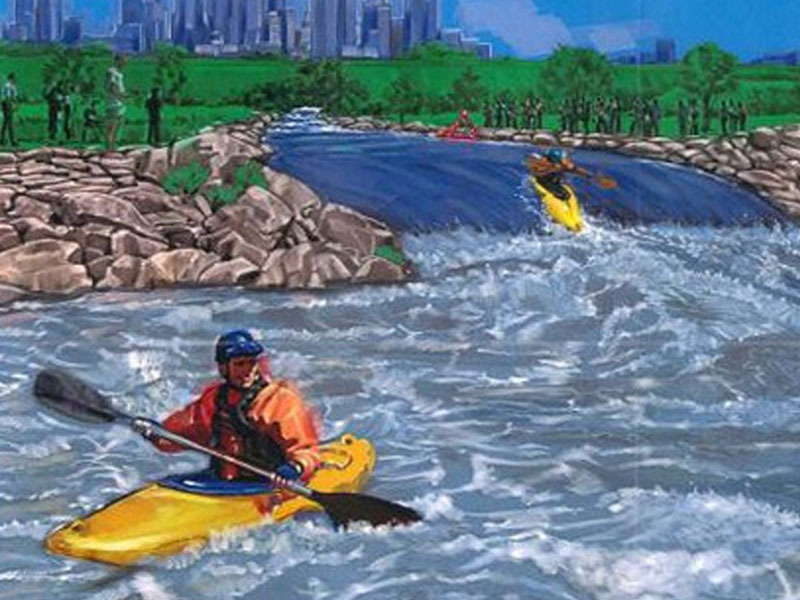 I guess the standing wave was supposed to be some kind of whitewater blah blah blah for urban kayakers. But things didn’t quite work out as planned. A slow water bypass was included in the design so that the standing wave would not become a barrier to those with more casual recreational boating in mind. The problem is that the bypass did not function as designed and it was determined to be far too technical and dangerous for people of intermediate skill. 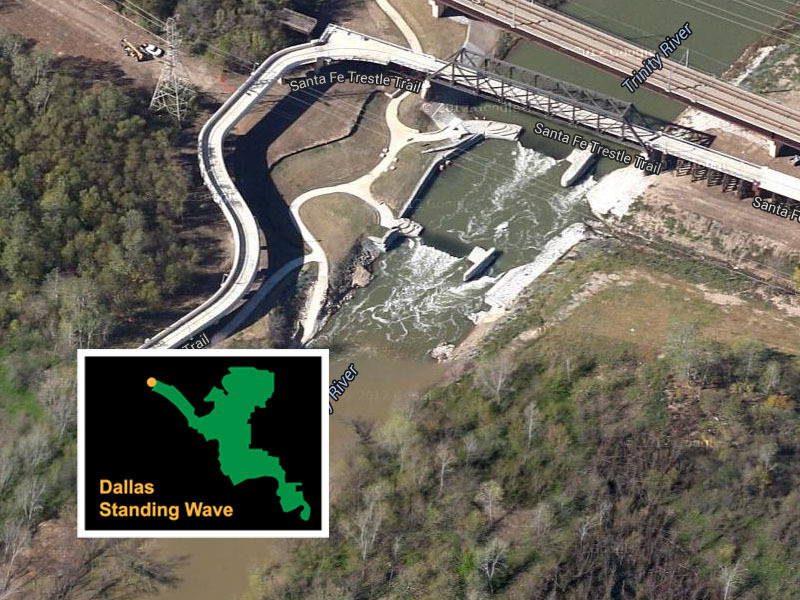 Use of the Dallas Standing Wave has been discouraged while a solution to this problem has been sought. In the meanwhile years have gone by. This multimillion dollar debacle is one that should have raised the ire of the citizens of Dallas. It is truly a boondoggle. 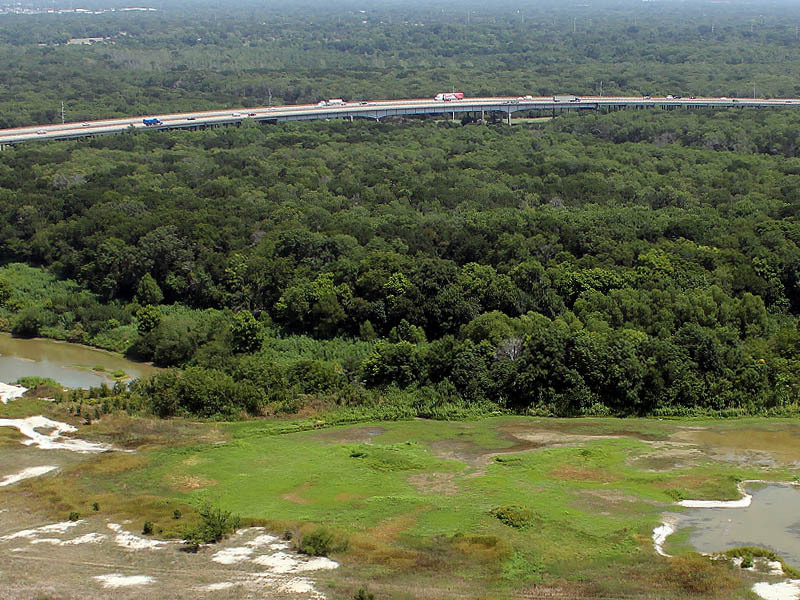 Somebody in city government should have been held accountable, and this problem should have been remedied before any further developments in the Great Trinity Forest were undertaken. Instead, the folly of this project went largely unnoticed—the citizens of a busy city like Dallas do not have the time to try to unravel what a “standing wave” is—and the whole thing just fell off the radar screen. Now several years later, the plan seems to be to explore just how long the problem can be ignored until the city is forced to do something about it. 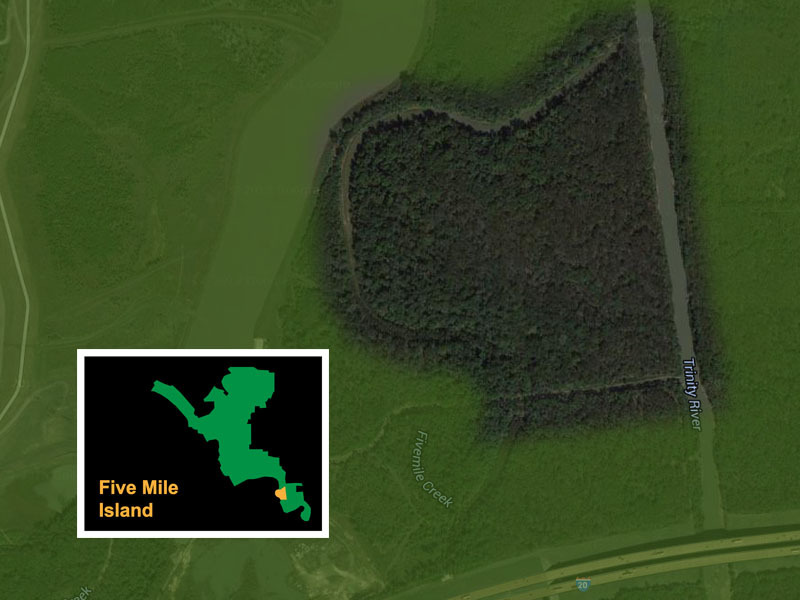 Protected by a moat of murky water, Five Mile Island is one of the most remote and wild areas in the Great Trinity Forest. 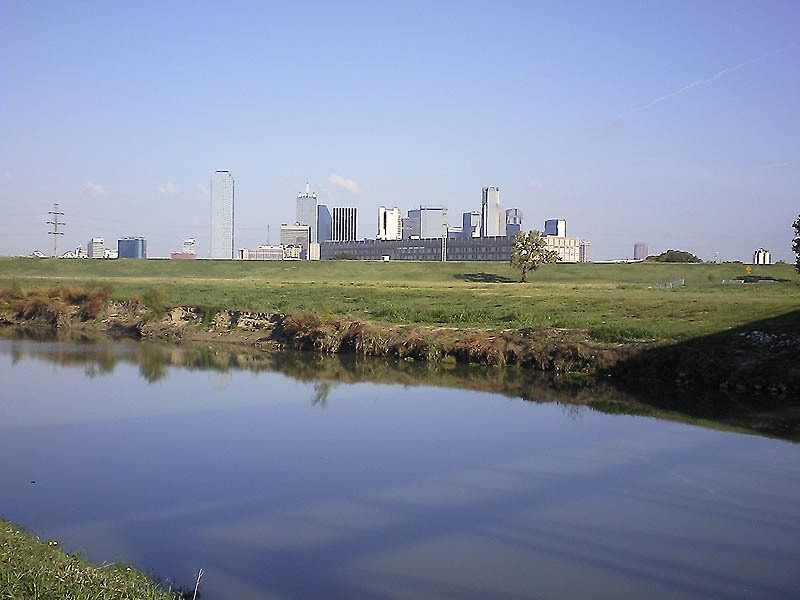 The channelized Trinity River forms a daunting barrier on the east, while the remnants of the old river following its original path wrap around the north and west sides of the island. Five Mile Creek cuts across the southern end of the property and blocks an approach from that direction. People rarely visit this part of the Great Trinity Forest simply because it is all but unreachable, except by the most determined explorers. The result of all this isolation is that wildlife abounds here. A small herd of White-tailed Deer in the shadows of downtown Dallas. Feral Hogs grow confident and large in the safety of the isolation here. Coyotes do not expect to encounter people in this part of the forest. Some of the highest elevations and grandest views the Great Trinity Forest has to offer can be found in this part of the park. A series of six overlooks mark the vistas, with each providing a commanding view of Dallas and the expansive woods in between. A network of soft surface trails tie the overlooks together. Some are named and others are not: the Piedmont Ridge Trail, the JJ Beeman Trail, the Scyene Overlook Trail, and the Gateway Trail. Maintenance of these trails has been lax over the past several years and some are now in a concerning state of decline. The Great Trinity Forest Overlooks. The view from the Scyene Overlook. The view from the Devon Anderson Overlook. 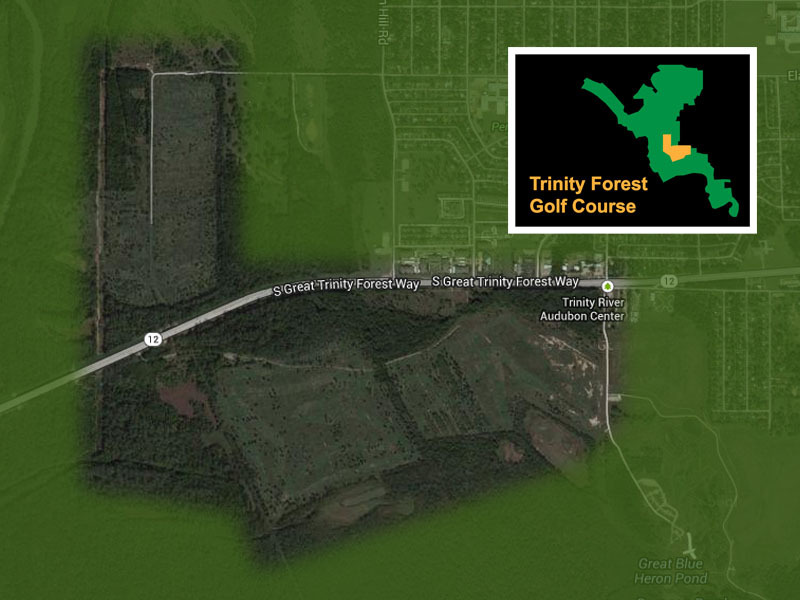 This is not the new Trinity Forest Golf Club that has been in the news. 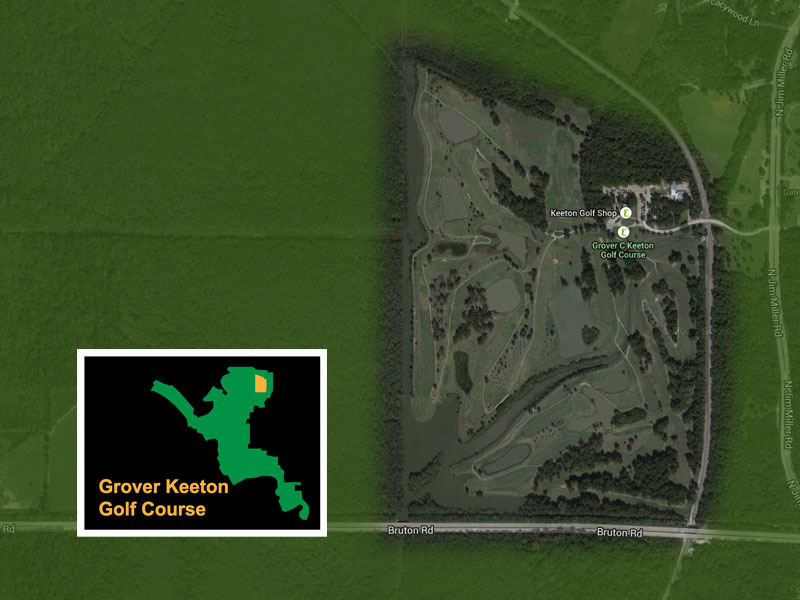 Grover Keeton Golf Course has been around for years. Their website describes the place as, “One of Dallas’ Finest Golf Experiences. A hidden gem.” If you are inclined to golf, I’m sure you will agree. You can find more information about Keeton Park by clicking here. When Lemmon Lake is holding water this place is the crown jewel of the Great Trinity Forest. There are sights to be seen here that are unique to any place in Texas—even our most remote wildernesses. Unfortunately, Lemmon Lake is drought dry, and has been since the summer of 2012. Little Lemon Lake to the north was also bone dry the last time I stopped by. Without water, the exotic wildlife that normally calls this preserve home has been forced to seek out new haunts. Hopefully, the animals will return when the water is restored. Below is a video montage made up of footage recorded at Lemmon Lake just days before it dried up in the summer of 2012. All night long Feral Hog were came to the last pools of water to feed on the stranded fish they contained. Unfortunately, vehicular access has not been restricted in the Lower Chain of Wetland Cells and it has become a favorite place for mud trucks and illegal dumping. 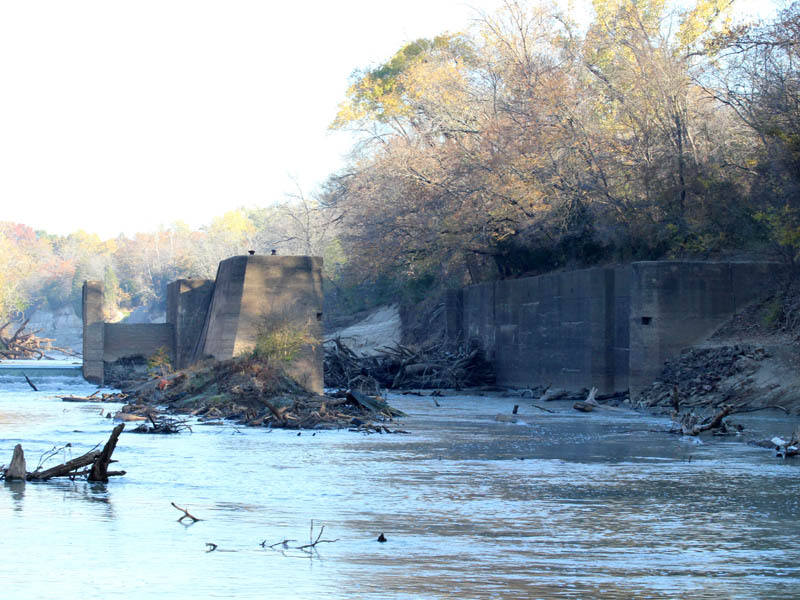 Big four wheelers have done serious damage to the land and to native vegetation mitigation put in place by Lewisville Aquatic Ecosystem Research Facility (LAERF) and the Corps of Engineers. Poaching and other forms of general lawlessness have been reported here as well. 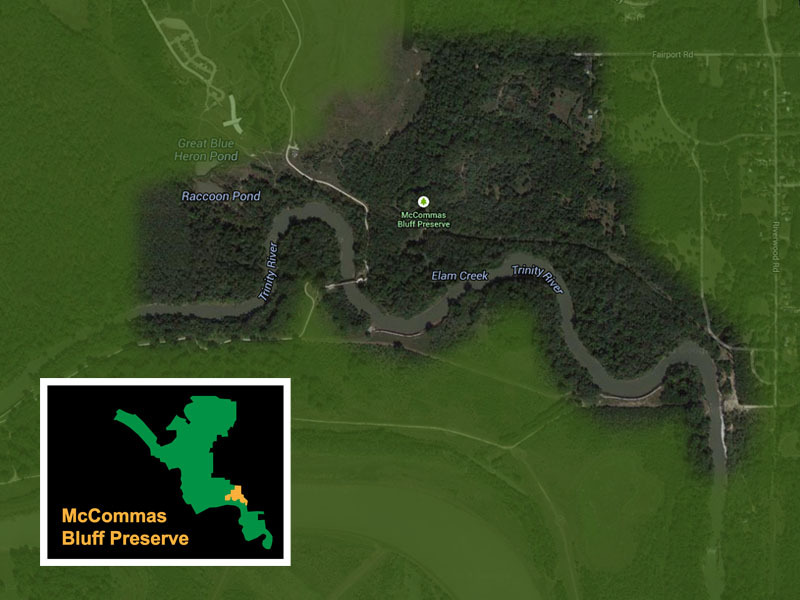 From a historical context, this preserve is one of the more interesting places in all of the Great Trinity Forest. On this property is the site of the planned Trinity City, a town intended to become northern most port city on a navigable Trinity River. Of course, making the Trinity passable for barge traffic is a dream that never was realized—there were just too many obstacles and impossibilities. Nonetheless, several efforts have been made to give it a go. Lock and Dam Number One was built around the time of the First World War and the remains of an even older lock and dam dating back to the late 1800s still sit in the river at this spot as testaments to failed aspirations. The limestone cliffs of McCommas Bluff. A closeup look at the remains of the 1893 lock and dam. Notice the iron rods still in place after all these years. The 1893 lock and dam and the 1916 Lock and Dam in context. 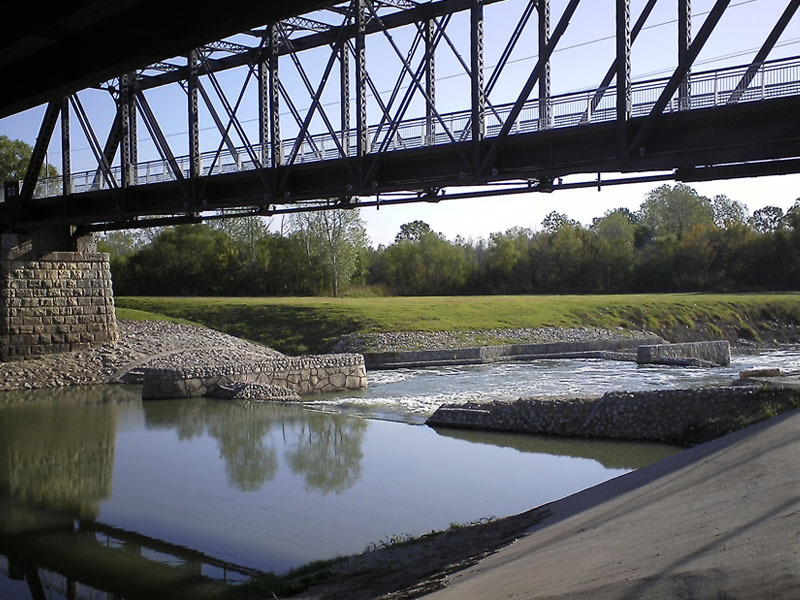 Lock and Dam Number One is regularly clogged with snags, dead-falls, and other debris. 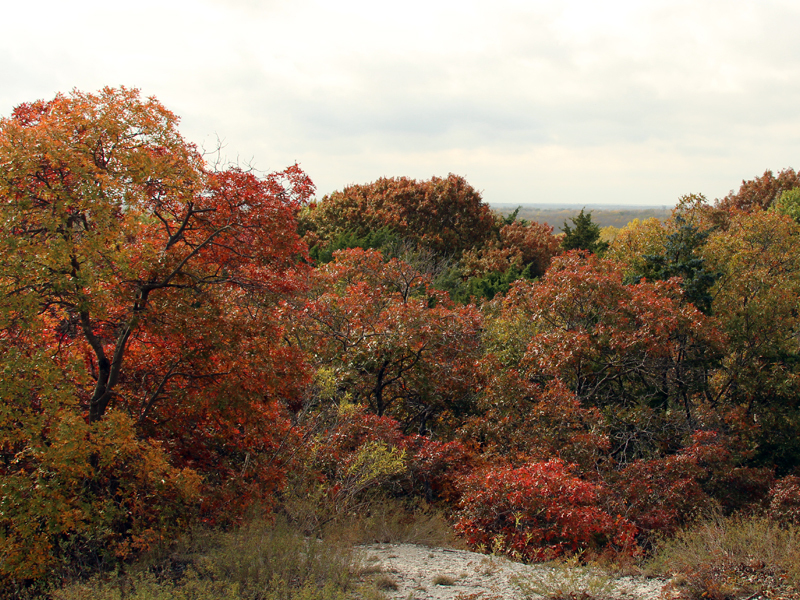 While the McCommas Bluff Preserve has great appeal, there is also a dark side to this part of the Great Trinity Forest. Abandoned marijuana farms are hidden in the woods, and this is a popular spot to dump stolen cars. Evidence of poaching has been found near some of the informal trails along the north side of the river. Caution is warranted when you visit this place. 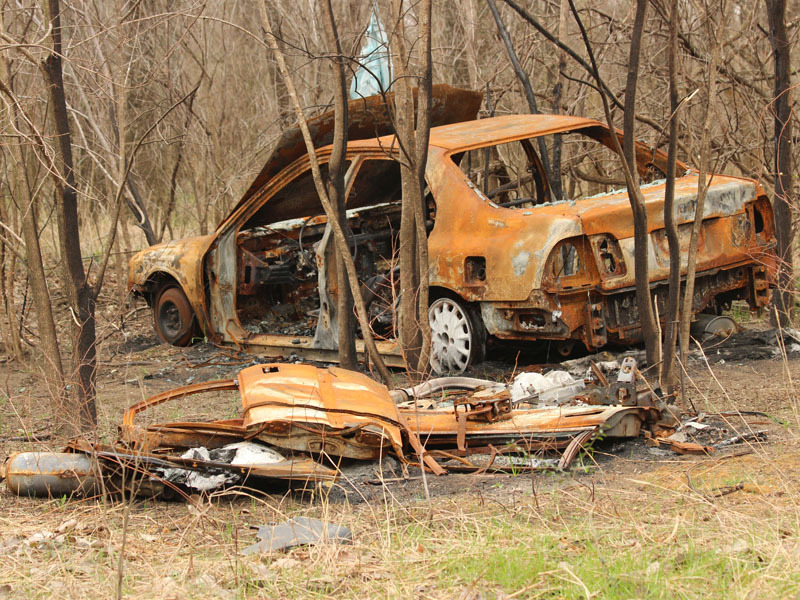 A stolen car burned to a crisp in the McCommas Bluff Preserve. 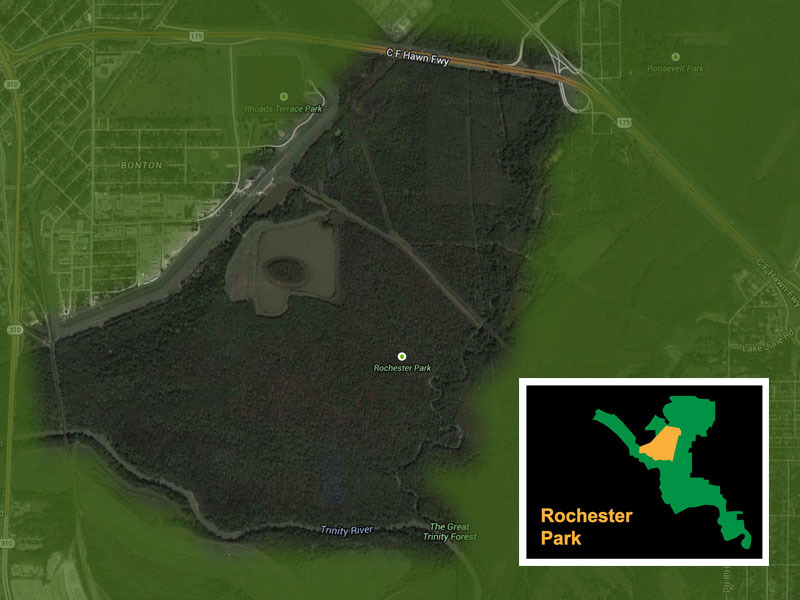 Rochester is a big park—comprised of over 980 mostly wooded acres. 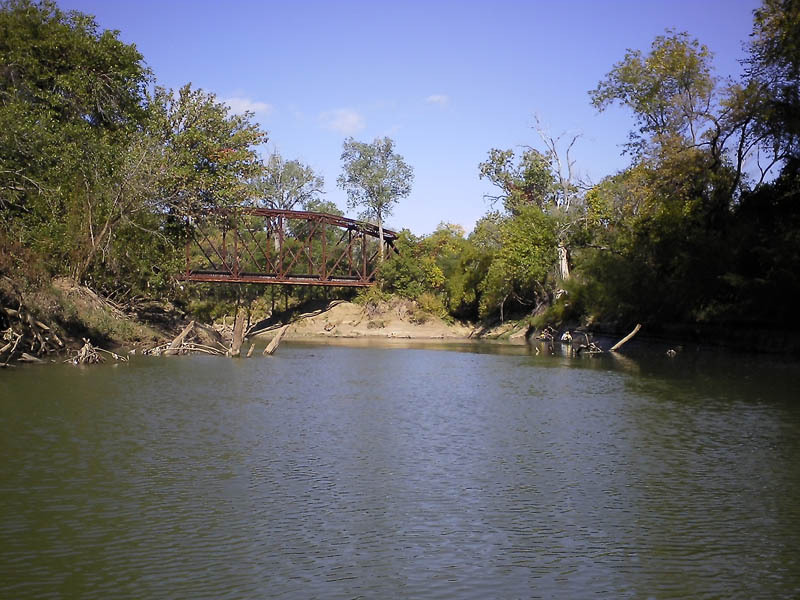 Within its boundaries are the Buckeye Trail, the confluence of White Rock Creek and the Trinity River, and a large pond known affectionately as Bart Simpson Lake (turn your head to the side when you look at the map below). The tragedy of Roosevelt Heights began back in the 1940s. People moved into the community without knowledge that the area is prone to flooding. 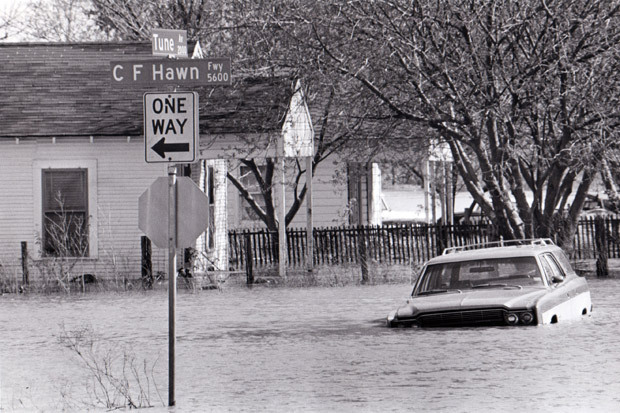 Throughout the 1960s the community found itself repeatedly under water. By the early 1970s the neighborhood had to be bought out by the city. One hardy and defiant soul still resides in the lone house still standing north of US175. Eventually, though, the flood waters will be back and that will be that. As you can see from the aerial below, the south side of this development has been largely reclaimed by the forest. I have been to this area a time or two and it is eerie and post-apocalyptic. 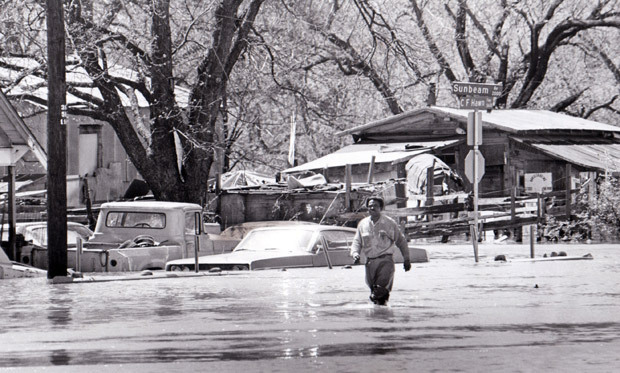 Children standing in the waters of a flooded Roosevelt Heights. 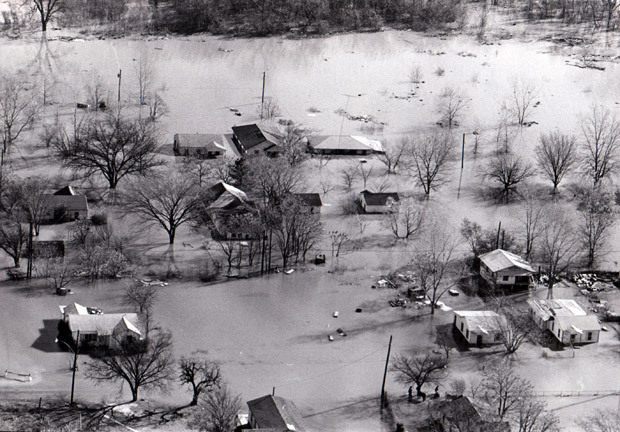 Roosevelt Heights during the destructive flooding in 1971. The Last Stand – From Google Maps. 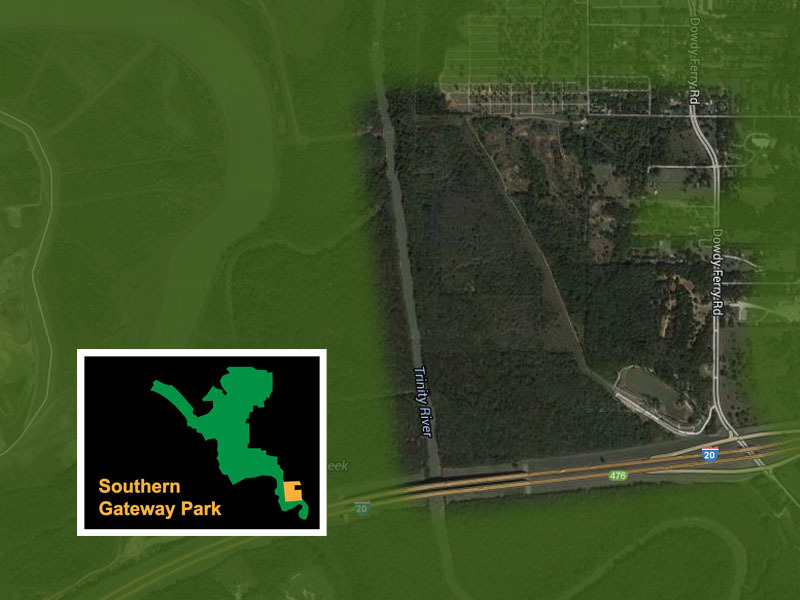 One of the newest parks in the Great Trinity Forest, the Southern Gateway Park and Horse Trail was established in 2013. 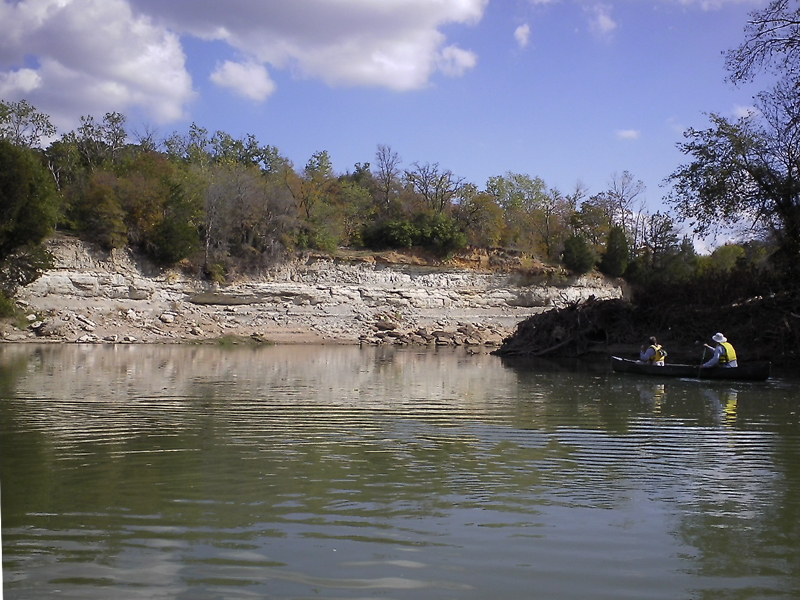 See this webpage for more information: Great Trinity Forest Gateway and Horse Trail. Very close to this park, at the intersection of Interstate 20 and the Trinity River the City of Dallas has recently begun its multimillion dollar tire clean up efforts—a truly worthwhile effort. 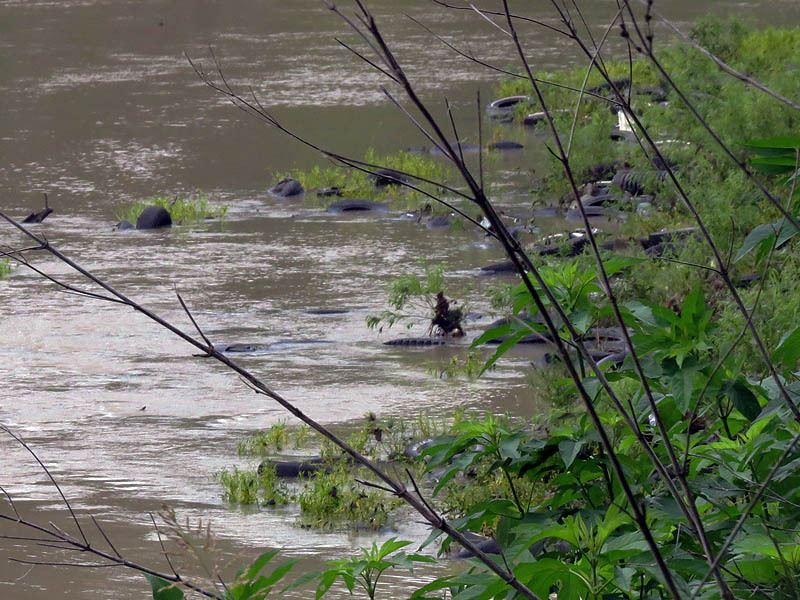 Much of the forest and a disturbing amount of the river is littered with decades worth of discarded automobile tires. 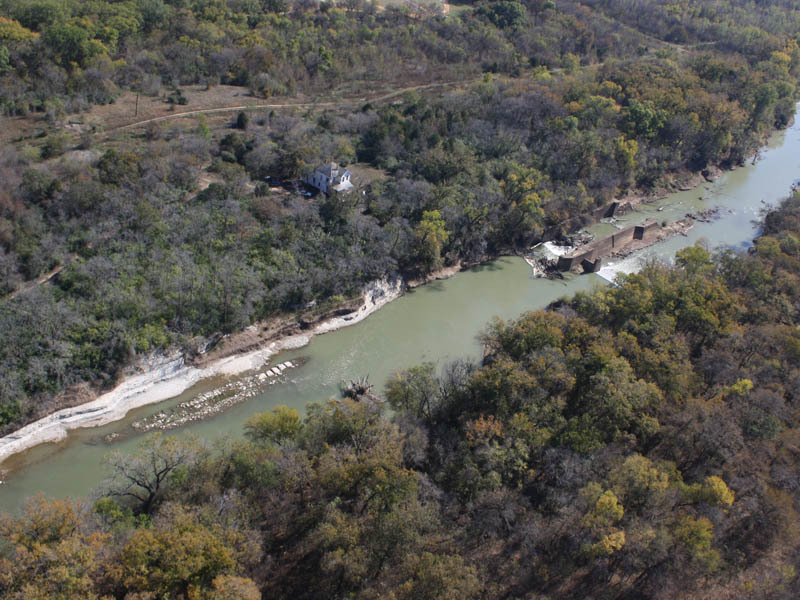 Removing them will have a dramatically positive effect on the general appeal of the Trinity River and the surrounding woods. 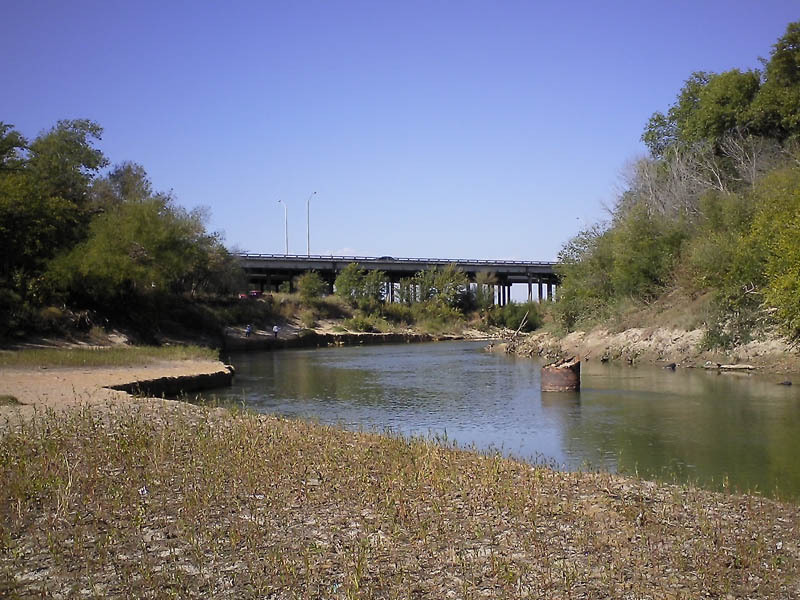 Mass accumulations of tires litter the Trinity River. Construction on the Texas Horse Park is nearing completion. When finished this facility will host trail rides into the adjacent Great Trinity Forest as well as onsite equestrian events. Two non-profit organizations—Equest and River Ranch Educational Charities—will be providing programs for visitors to the facility. Horseback riding lesson, trail rides, hippotherapy and therapeutic riding classes, school field trips, hayrides, and event hosting are all planned for the Texas Horse Park. 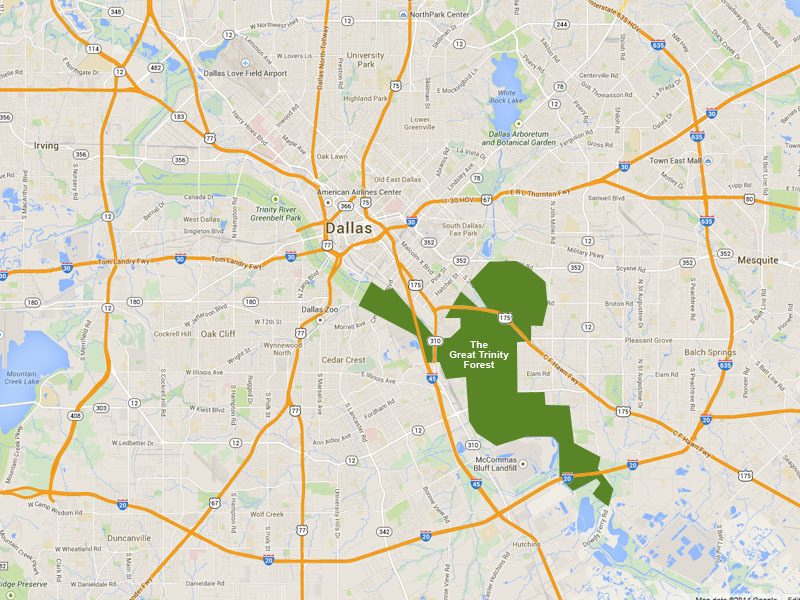 Dallas Observer – Dallas Broke Its Own Rules to Get Dirt for Its Golf Course. Now, It Wants a Free Pass. Of course the center piece to the whole Great Trinity Forest is the mighty Trinity River itself. I love this river. It has been abused and polluted for decades, but it is still holding its own. It is a dark slow moving river that exudes power and beauty, but it also elicits a not-so-subtle sense malevolence. 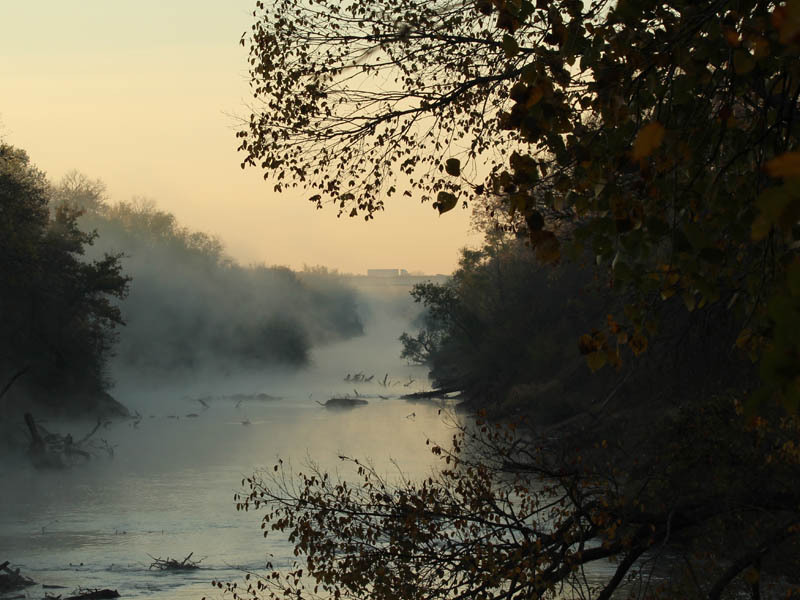 The Trinity River at Dawn. This location is the site of Miller Ferry. This site was important all throughout the second half of the 1800’s. Notice the fishermen in the background. That’s the South Central Expressway bridge in the distance. Limestone seeps and the MKT Trestle. Downtown Dallas near the Dallas Standing Wave. 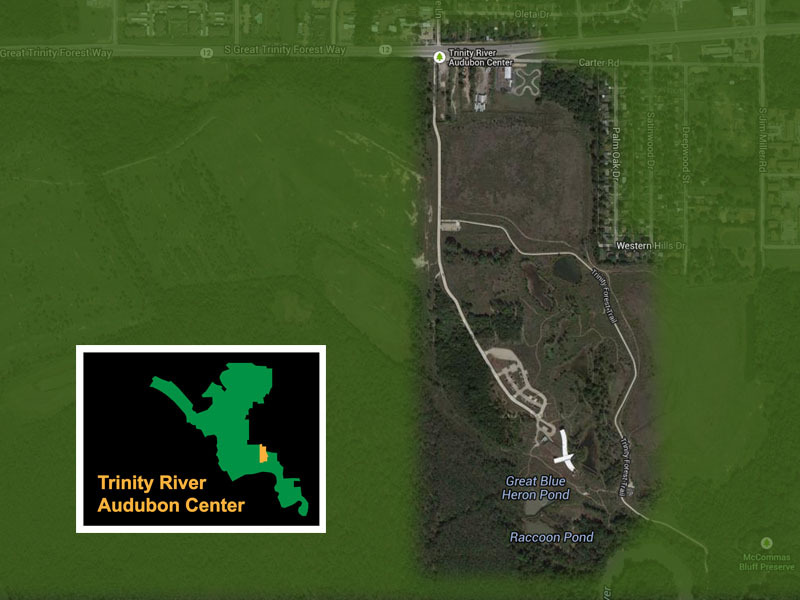 For those looking for a more packaged outdoor experience there is the Trinity River Audubon Center. Completed in 2008, the Audubon Center has been facilitating a variety of nature related activities ever since. Sponsored activities include academic programs, adult programs, children and family programs, and citizen science efforts. 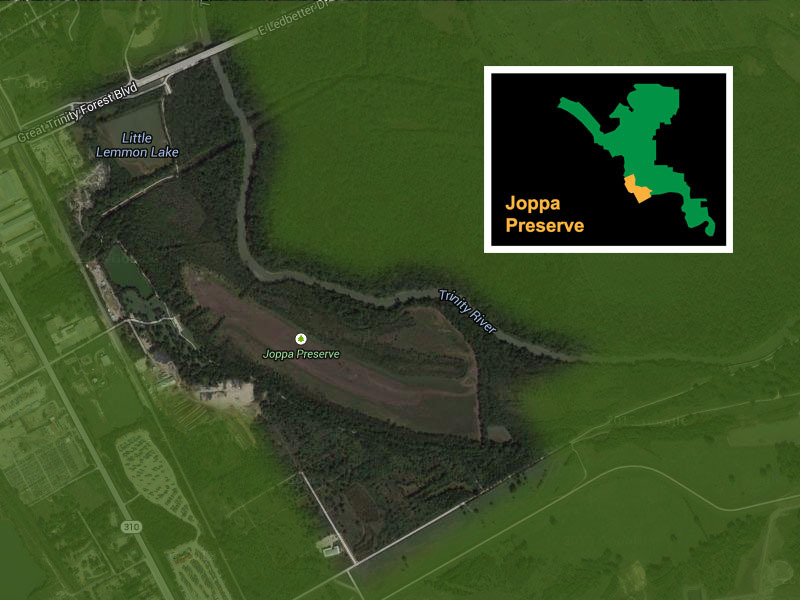 Using the TRAC as a base of operations for sponsored tours of the Joppa Preserve, the McCommas Bluff Preserve, the Trinity River, and other special areas in the Great Trinity Forest might help to broaden its appeal. 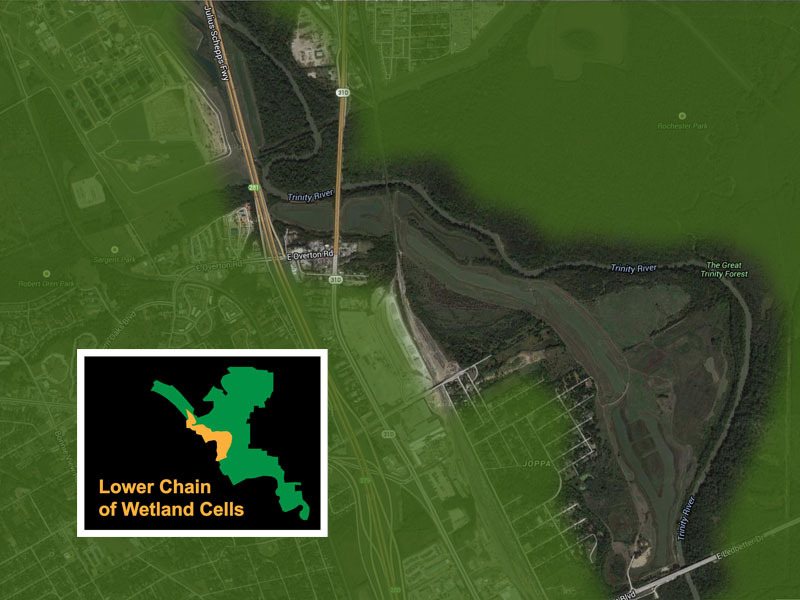 The Upper Chain of Wetland Cells are being developed in conjunction with the planned Lamar Levee near downtown Dallas. Three news cells (or small lakes) are currently in the early stages of construction. 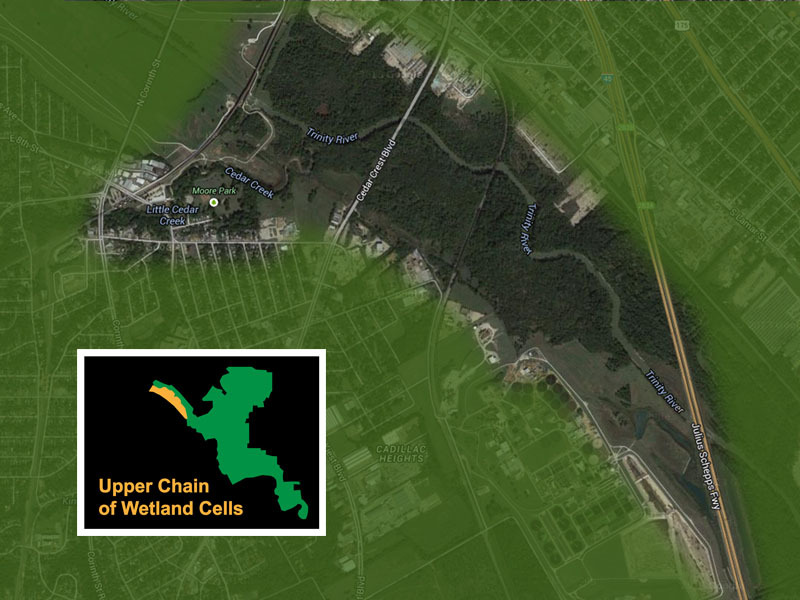 When completed the Upper Chain of Wetlands Cells will provide flood control and wildlife habitat just two miles from Dallas City Hall. Did you know the City of Dallas has a Feral Hog problem? Well, evidently it does, and much of this problem is centered in and around the Great Trinity Forest. What kind of problems to wild pigs cause? Well, in a nutshell, they like to root up soil in order to find their dinner. This kind of behavior can wreak havoc on lawns and gold courses, especially when a whole sounder moves through the area. 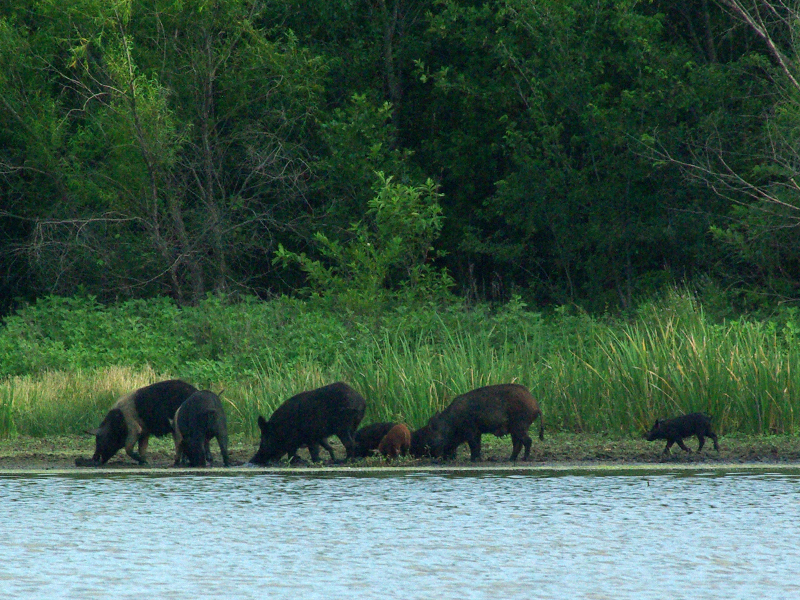 Feral Hog are also thought to be vectors of disease. They are prodigious breeders and a few hogs can turn into a lot of hogs in a very short time. They eat just about anything that can be eaten, and they can have a negative impact on native wildlife as a result. Two summers ago the City of Dallas awarded an absurdly large contract to have the Feral Hog problem addressed. You probably won’t be surprised to hear things didn’t quite go as planned. 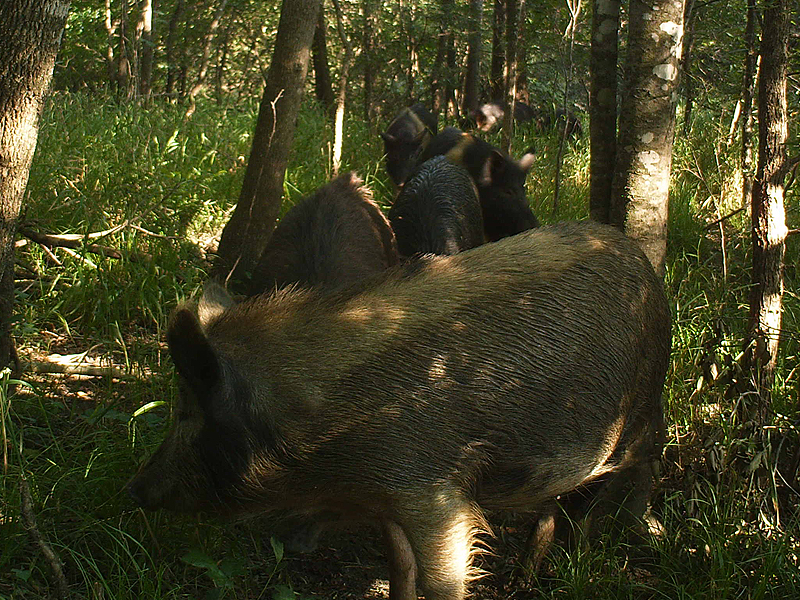 News that the hog trapping contract was never enacted did not receive much mention in our local media, but as you can gather from the report above, the wild pig problem has not gone away. If Feral Hogs really are a issue in Dallas, then the city needs to get serious about locating and hiring a reputable firm to help them with the required mitigation. 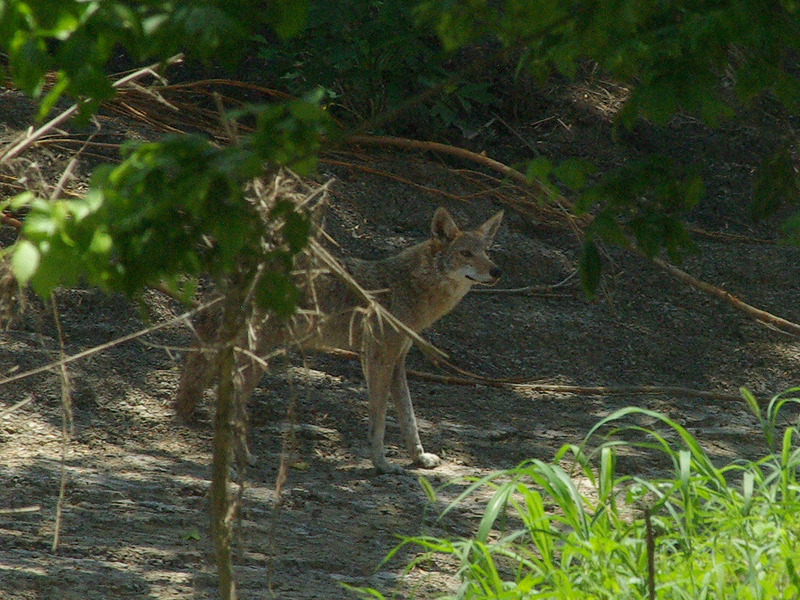 Is the Great Trinity Forest Safe? In general I think the answer to this question is no. A lot will depend on where you go and what you try to do while you are there. It is not difficult to make your way into an isolated and rugged area where an incapacitating injury could leave you stranded for hours or longer—and that assumes you have a cell phone to call for help. There is also a criminal element that pervades these woods. The isolation provides cover for nefarious acts of varying degrees of villainy. Your best policy if you decide to visit, is to go with a group and stay alert. Keep your cell phones handy and be careful. Do not wander too far from the well traveled paths. Is there anything really unique about another golf course? A horse park? A network of isolated concrete trails? 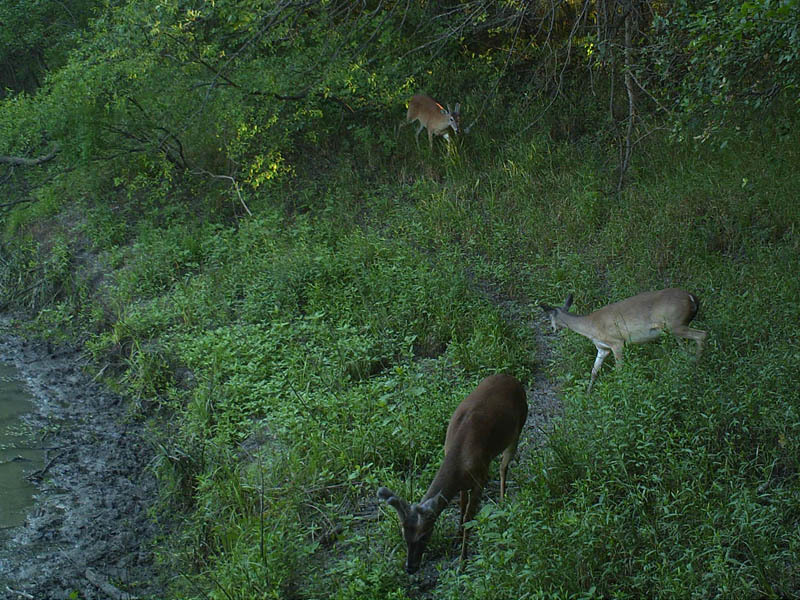 Isn’t there any other way to make the Great Trinity Forest something truly special and original? I cannot offer expert opinion on the Great Trinity Forest with regard to what it is or what it should become. All I know for sure is what I like and what I prefer. 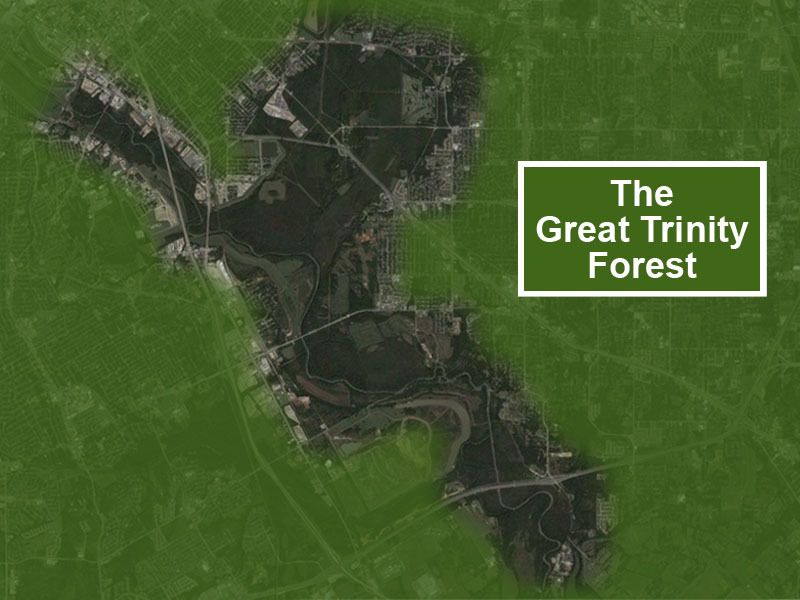 I am tempted to imagine what things might be like if we considered setting the Great Trinity Forest aside as a real nature preserve. A place that would serve as a largely undisturbed natural area providing an appealing accent to all of the urban sprawl. Trails and a select few parks could be built along the perimeter of the woods in places that could actually be kept safe. In addition to recreation, these pathways could be used for regular patrols by law enforcement to help illuminate unwarranted access into the interior and to ensure public safety. A concerted effort to clean up the river and the woods would be required to undo decades of neglect. Serious access control would need to be installed around the entire perimeter in order to limit unauthorized vehicular access and illegal dumping. The current plan for concrete trails through isolated areas does not seem to be a well thought out idea. It will be difficult to provide for public safety through most all of the areas the trails will run through. As I noted earlier, if vehicular access is not effectively restricted then the trails will most likely be used to facilitate illegal dumping and other criminal activities. After cleaning the river and the forests and securing the perimeter, the interior could then be left to the wildlife in the woods and canoeists on the river. The rest of us could enjoy the view of a large and uniquely undisturbed natural area right here in the heart of one of the largest metropolitan area in the United States. 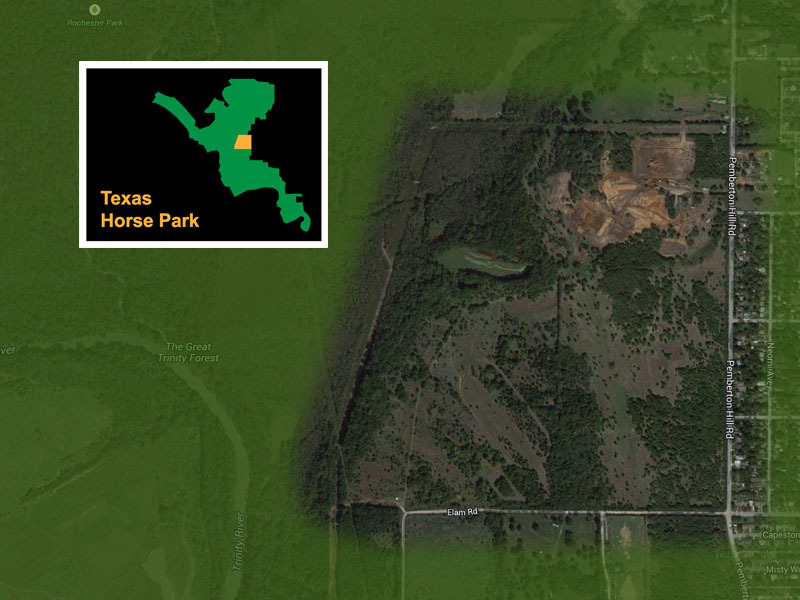 The horse park is not the Great Trinity Forest. Nor is the new golf course. Nor is the standing wave. 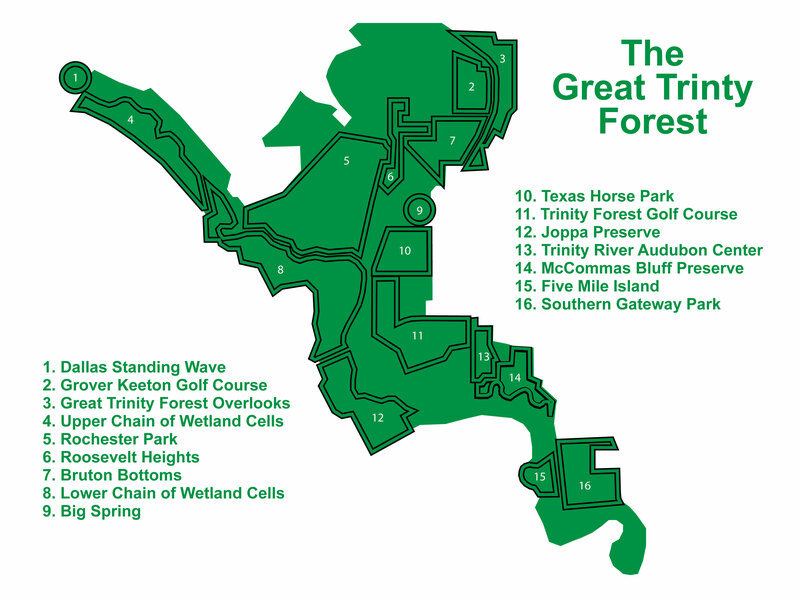 Not even the Audubon Center is the Great Trinity Forest. These are just places that have chipped away at what these woods really are and really can be. Trees had to be bulldozed in order to put these places on the map, and bulldozed trees do not make a forest—Great Trinity or otherwise. If they keep developing the forest for this or that attraction, then eventually there will be nothing left. Hopefully that outcome can be avoided. 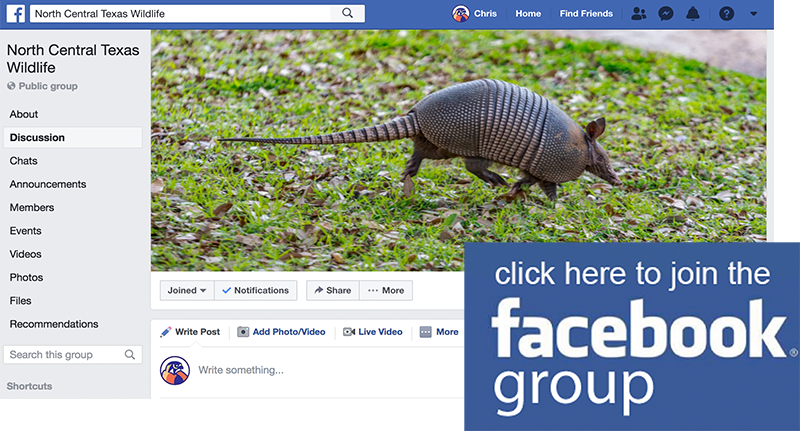 For those who are interested, the best way to help protect the Great Trinity Forest is by simply staying as well informed as is possible—the behavior of all of the entities involved changes for the better when they know people are watching. 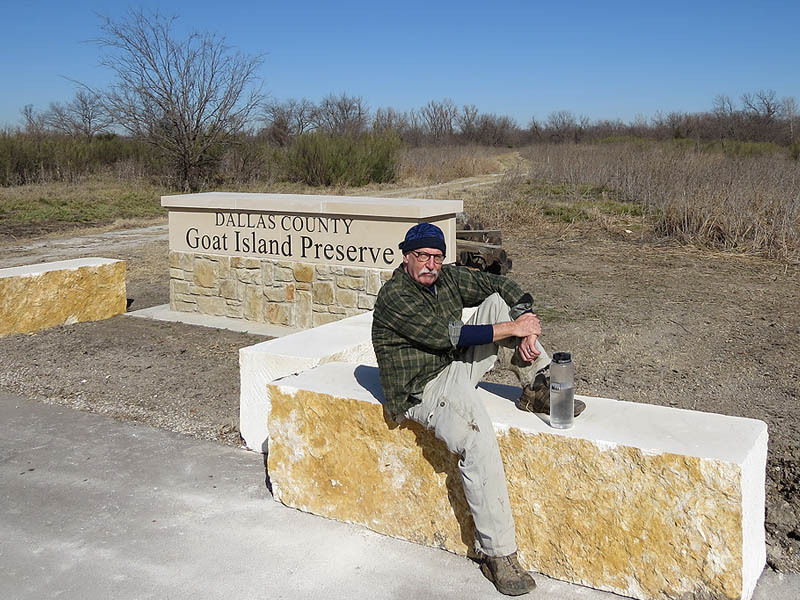 As always, the best place to learn more about all things Great Trinity Forest is via Dallas Trinity Trails, the excellent blog by Ben Sandifer. Be sure and check it out. This is a truly impressive piece of documentation. Well written with top notch graphics and your always exquisite photos. Excellent collection of links. Congratulations! You should be very proud. This is coming from someone with three decades in journalism. It’s greatness. And so needed. This is a tremendous community service. But dude, you got waaay too close to the hogs for those pics! 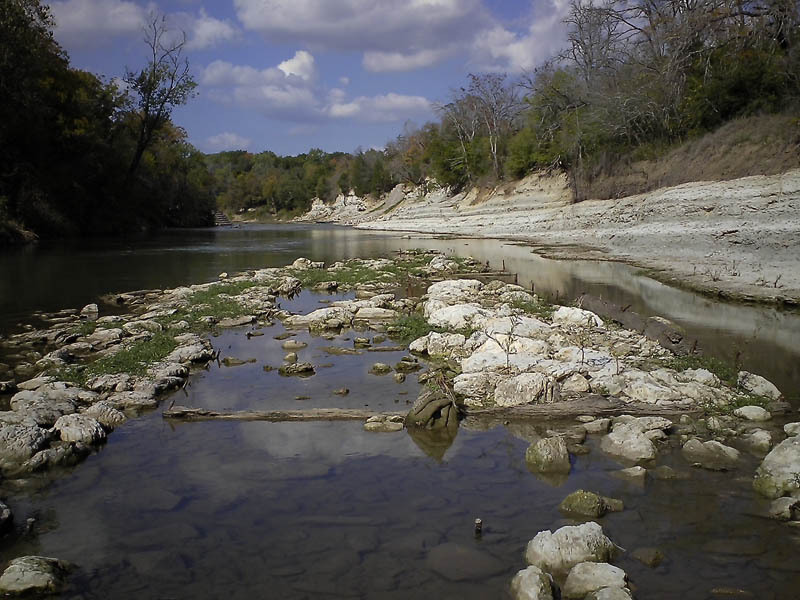 GreenSourceDFW began its coverage of Great Trinity Forest this fall will continue throughout 2015. We’s love it if you’d include our pieces in your overview. The guide will be moved over to my website so I can continue to update it and continue to develop. This rocks! Great article. I agree with above. This is a top notch overview and guide. I can’t wait to explorer a few of these areas. I had no idea of the history, the scale and story of this area. Thank You! I live at the edge of the GTF and have for about 32 years. This is an excellent piece that shows both the sweet and savory parts of the forest. Yes, it is beautiful and yes, caution is warranted. My street feels very, very safe, but I don’t walk in the deep forest alone, anymore. Thanks to the author and photographer. Thank You for this wonderful article pulling all the info about this area together. Excellent! I just saw that myself, Sam. Not bad, huh? This is the first I’ve heard of campgrounds being planned for the southern part of Roosevelt Heights. I have to say it’s an…interesting idea. The person(s) living there has all sorts of unfriendly keep-out signs posted at the entrance to what appears to be a junkyard, and for all I know somebody was cocking a shotgun just because I looked in that direction. 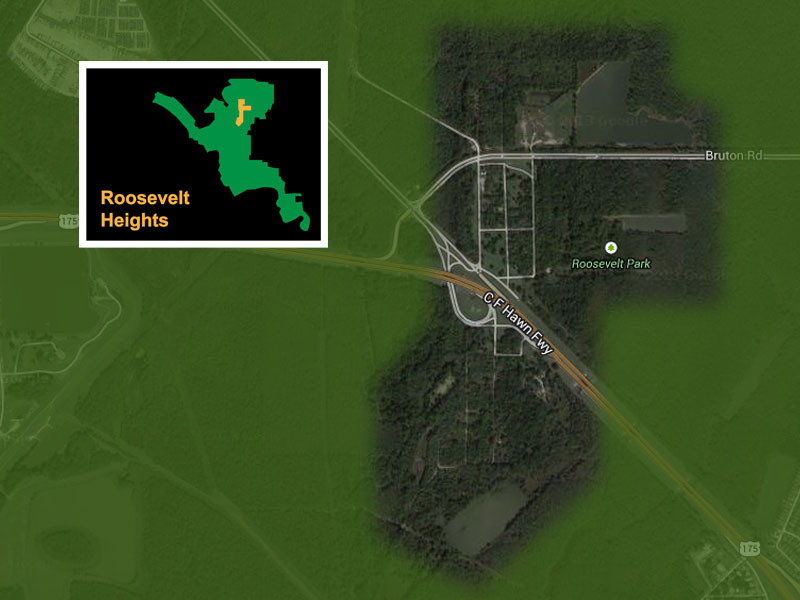 How did Roosevelt Heights get its name if it’s actually in the lowlands? You know the game… people use superlatives when naming residential developments… Castle Hills, Valley Ridge, Normandy Estates… Its all marketing. What little truth there is in the name Roosevelt Heights probably comes from the land it is built on being slightly higher than the surrounding floodplain. Turns out it just wasn’t quite high enough. Tell us about them, Karlen! Thanks so much for this detailed and well presented blog on the GTF. This was such a fantastic, interesting read. 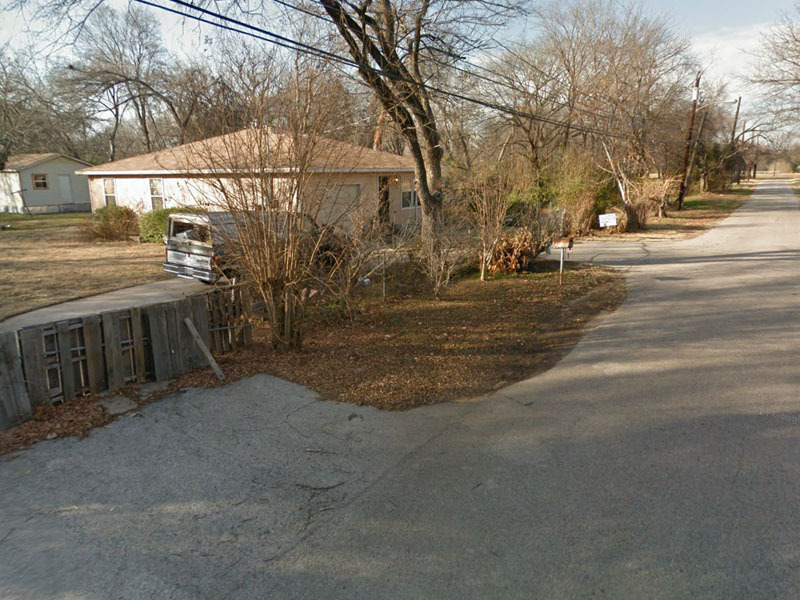 I knew nothing of the vastness of this area, and I’ve grown up in the Dallas area my entire life. On another note, my family and I lived in Australia in 2013-2014. They have one of the top 10 best public parks in the world, and it’s still humble and so natural. I can’t help but think this may be the direction Dallas should go with this Trinity area…If they could make it less scary. There’s so much potential in this city but too many lazy hands stirring the pot. And citizens do not prioritize nature in this part of the country. It’s a shame. Regardless, thank you for the very cool read and links. Also, what is that white house or church (wooden building) in your ariel photo of the dam? They say that’s the old lock keeper’s house. Built when the lock and dam was put in… Still occupied today. I’m really surprised to hear about some of the plan’s for the different areas of land mentioned in this article. Especially for Roosevelt height’s area. Because I know first hand knowledge and experienced living there for many years when it was actually a community. My family stayed even when everyone else left because of the frequency of floods. Although it was only 4 family’s who stayed (with my family included) I must admit growing up in such a beautiful place and learning about nature’s way of life and the many hikes my sister’s and brother’s and I would go on daily we’re worth my life experiences. We didn’t have a lot of material things that other people who was on the outside looking in had. BUT WE HAD AND STILL HAVE WHAT MONEY CAN NEVER BUY. Love, each other and THE BLESSING’S OF GOD IN OUR LIFE. Growing up there was ruff and hard; but as I see how things are now in the world. I wouldn’t have changed a thing. Having experienced living with natural beauty of the the world which it has to offer. Was the greatest time’s in my life. I often have dreams of being able to build home in the same spot OUR home once stood and planet all the different types of flowers like the one’s my wonderful Grandmother had. R.I.P Granny thanks for teaching me how to survive in the world. Nature’s way. Edward “Ned” Fritz initiated the Great Trinity Forest. It would have been an ECOLOGICAL CATASTROPHE and would have been FAR TOO EXPENSIVE and basically a GOVERNMENT BAILOUT to INDUSTRY. Texas voters VETOED the plan in one of the polis’ wiser decisions. Golf courses are ecological disasters, period — especially in ecological sensitive areas.